Zanzibar is a small island off the east coast of Tanzania, most commonly visited as a short beach break after a safari in Kenya. 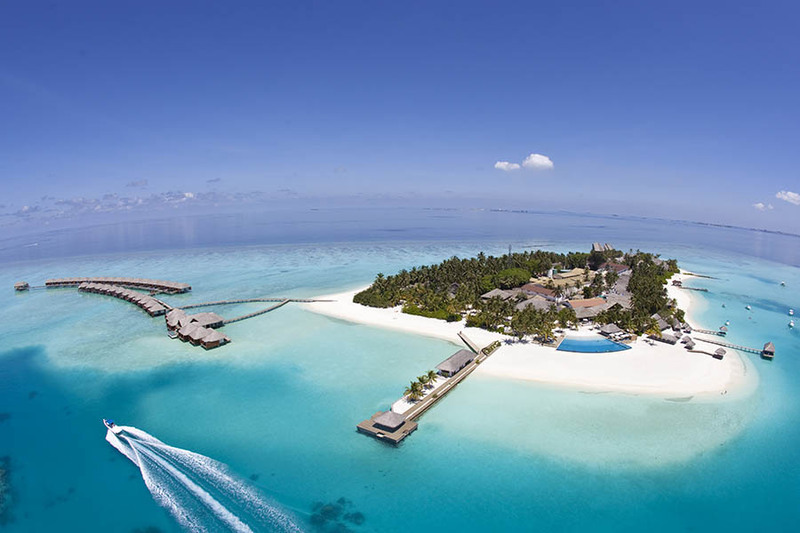 It’s a popular honeymoon destination with the opportunity to enjoy the beauty of the Indian Ocean but something a bit different to the classic resorts of the Maldives. It had always been a 'bucket list' destination for me. I’m a bit of a beach-bum so having poured over photos of Zanzibar's beautiful white sands and crystal clear waters in various magazine articles and websites, I was excited to see this destination for myself. If you’d like to start your Zanzibar luxury holiday in style, why not fly Business Class with Emirates to Dar Es Salaam (Tanzania) via Dubai, as I did. On arrival, you can catch a local ferry for the 2 hour trip over to Stone Town, the historical centre of Zanzibar. Emirates offer flights to Zanzibar from two London airports as well as Manchester, Newcastle and Glasgow (January 2015). You can't fly direct from the UK, so you will usually have to transit through the Middle East or via Nairobi, so expect the journey to take about 11 hours in total. Transfers can be arranged by your hotel to collect you from either the ferry or the airport. The best time to visit is during the long dry season throughout June to October when rainfall is fairly unusual. Temperatures vary hugely with altitude and location but it's usually fine with clear skies and sunny weather. During November and December there's a short rainy season (the 'short rains') and these are much lighter than the main rains and less reliable. The main rainy season (the 'long rains') runs from March to May. Afternoon tropical downpours are the norm – and these can be heavy on any of the islands. The humidity is high and daily temperatures reach the low to mid 30°s. As most people arrive into Stone Town (Zanzibar City) it’s common to spend a first night here. Personally I found that an afternoon exploring Stone Town is plenty of time before heading off to the coast. If like me, you’d like to stay in the more remote and secluded parts of the island, head to the northern tip of the island to Nungwi. I had read that this area had the whitest sand and it will not disappoint! I stayed here and then moved down to the South Coast and stayed in a variety of different hotels in Bwejuu. In terms of travel - our hotel arranged a transfer to the South of the Island which cost around $70 USD. We then used the same driver to take us on the day trips we booked and for the return trip to the airport at the end of our stay. We found transfers can be quite pricey so if your hotel recommends a driver, I would suggest you take them up on the offer. For my Zanzibar luxury holiday I stayed in the 5* Essque Zalu in Nungwi and if you‘re looking for a Zanzibar honeymoon, this is certainly my top recommendation. I stayed in a Garden View Room, but there are even more luxurious Ocean View Rooms and Deluxe Suites! The hotel's infinity pool is fantastic but the highlight for me is the restaurant on the end of jetty. You can take your lunch in the middle of the Indian Ocean then jump in and swimming back to the beach! If you stay half board you can choose where to dine; on the beach, around the pool or in the restaurant! Breezes Beach Club & Spa is a 4* hotel which is very family-friendly and provided entertainment during evening meals. I’d recommend it as a great option for young families as there are plenty of activities and water sports available. Stay at Baraza and like us, you can experience your own private plunge pool with your room! To be honest we didn’t use it much as the hotel’s main swimming pool was so huge and quiet and we could lie on our sunbeds with a view of the beach with waiter service on hand for all our drinks and snacks! The boutique Anna of Zanzibar hotel really is something special. The accommodation is in one of 4 luxurious suites so everyone has their own little luxury beach house. We had our own private cabana on the beach with very attentive waiter service. There is a vast library inside where you can chose to borrow a wide variety of books throughout your stay. We found the staff were incredibly helpful and friendly and it really was a serene piece of paradise. At 4pm, the waiter will visit your suite with a cocktail and the evening’s menu so you can choose your meal and let them know when you’d like to dine. A pianist welcomes you onto the balcony where you can enjoy your evening meal no further than 100 metres from the beach. If you do make it any further than Zanzibar’s glorious beaches there are a variety of activities to try. Hotels can arrange a half-day trip to swim with dolphins or perhaps a Spice Tour back in Stone Town – where you’ll learn about Zanzibar’s history of cultivating cloves and other spices. Alternatively, you can happily pass time strolling through Zanzibar’s attractive cobbled streets like we did – we even discovered the Queen singer Freddy Mercury’s house. If you’re looking for either a luxury Indian Ocean experience or a Zanzibar luxury holiday, we can tag this on to a safari in Kenya or Tanzania. We can even include Zanzibar as a stop on your round the world ticket. If you're interested in comfortable options, we can recommend luxury hotels to suit your budget, plus Business Class flights if you’re looking to do the whole trip in style. For more ideas and to start planning, call us on +44 1273320580 or request a quote by email.